I’ll be back in Canada for the month of August slinging saps, serving up workshops and distilling some local essential oils. Anyone who has been waiting to buy fresh Pine and Spruce sap or a preservative free Frankincense rejuvenative creme, now is the time..
Fresh Pine and Spruce saps are back in the shop! Specifics for musculoskeletal and respiratory issues, these saps make excellent bases for muscle and joint rubs and chest rubs for congestion, coughs and colds. They are a secret ingredient in moustache waxes and a true Northern medicinal. I am taking pre-orders now and will be harvesting and shipping out of Ontario during the month of August. Fresh Spruce and Pine saps, or oleoresins make incomparable “broad spectrum” and whole ingredients for both cough and chest, and muscle and joint salves, cremes and liniments. They bring all the therapeutic properties of the oleoresins in their natural proportions to our preparations. 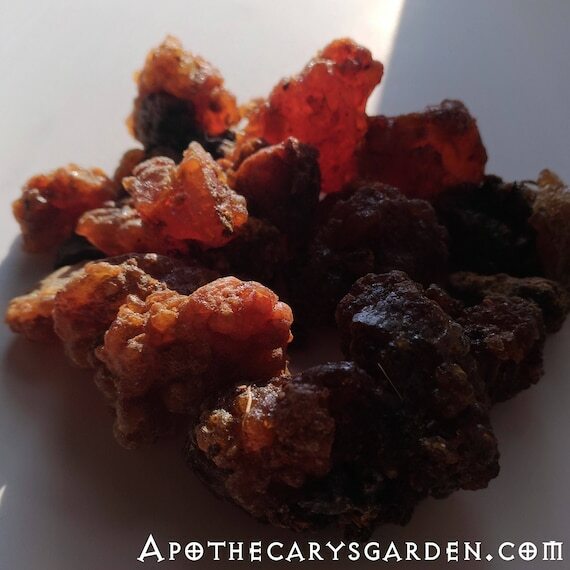 We have come to equate essential oils with the healing properties of all plants, but in the case of oleoresins such as these, the whole oleoresin has much more to offer us than the distilled essential oils. 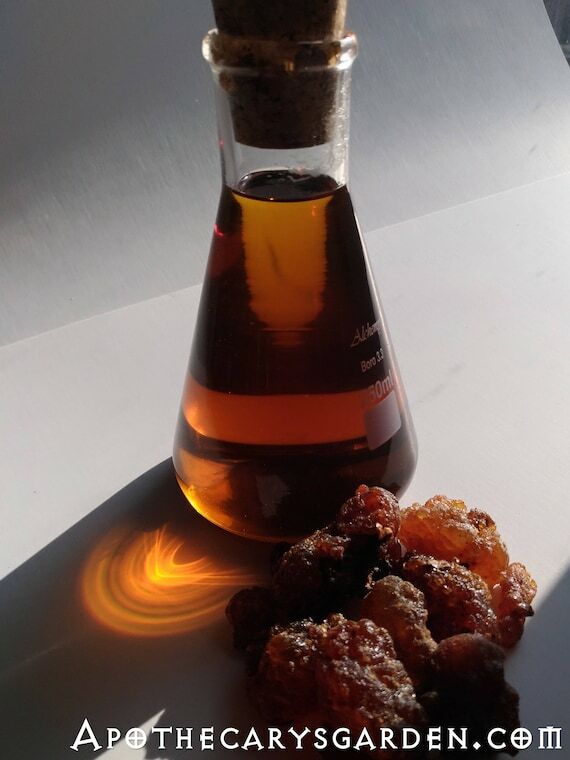 For recipes and methods for using oleoresins in your creams, salves tinctures and ointments you can browse through some Recipes here. For the more adventurous qualified health care providers, Naturopaths and Herbalists, once dissolved in olive or vegetable oil, they are easy to digest and assimilate. Much easier on the body than taking the essential oils internally, which I know some people are doing. have been in excellent hands this season with my absence. A wonderful group of talented and industrious volunteers have taken the gardens up a notch this year. They have a great lineup of workshops for the community. If you are in Southern Ontario make sure to check out the FB page. They have been kind enough to slot me in for a few workshops in the Apothecary’s Garden while I’m in town. 10:00 AM, Sunday 16 of August we will meet in the Apothecary’s Garden and head to the woods for “Green Gnosis”, an introduction to Intuitive and Shamanic Herbalism. We will look at how we connect, commune and communicate, personally, deeply and directly with nature and Her citizens to develop new, mutually beneficial relationships, and learn what only they can teach us. Communicating wth plants, or plant spirits, is a time honoured tradition in many cultures and an innate ability we all share. While it deepens our connection to the land and planet, it can also provide us direct understanding and knowledge beyond books and second-hand information, nourish our spirit and take our craft to new levels. All this followed by a communal potluck @ 4:30! The cost of the workshop is $25.00-$5.00, on a sliding scale. Thursday 20th of August I will host a distillation workshop and demonstration. There are certain things we are not allowed to distill in Ontario, so I will not talk about them, but stills are quite versatile if you know what I mean. I will show you how to build your own still and how to produce the best quality essential oils, hydrosols and other distillates. We will cover different still designs, materials, condensers and other equipment one can use, and address safety, environmental considerations, sources for parts, recipes, growing, buying or wildcrafting plants for distillation, fermentation and distillation, distillation and alchemy, Spagyrics, Astrology and more. This workshop will be in the Apothecary’s Garden at the Teaching Gardens @ 2:00 PM. Cost is $25.00-$5.00 on a sliding scale. I just finished the salve. It smells like laying in the grass on a hot day in the Gulf Islands. It’s unbelievable. Do you ever make resin products out of Juniper? If so, what do you use it for? In advance, thank you for your response. Hi Caroline. Your salve sounds wonderful! And, no, I haven’t done much work with Juniper. In Ontario, the Junipers rarely yield sap, though I have worked with the berries and leaves. I collected some more fir resin this morning for making liniment. The fresh resin is melting surprisingly quickly in the Everclear. I think the liniment could be ready for use this week. You could likely filter it and use it now Caroline. Unlike a tincture the alcohol immediately dissolves the resin ans volatile oils. Have fun! Thank you, for the reminding to gather resin in the forestlands today. I have been wanting to try making a fir tree resin salve and liniment since finding your website last winter. 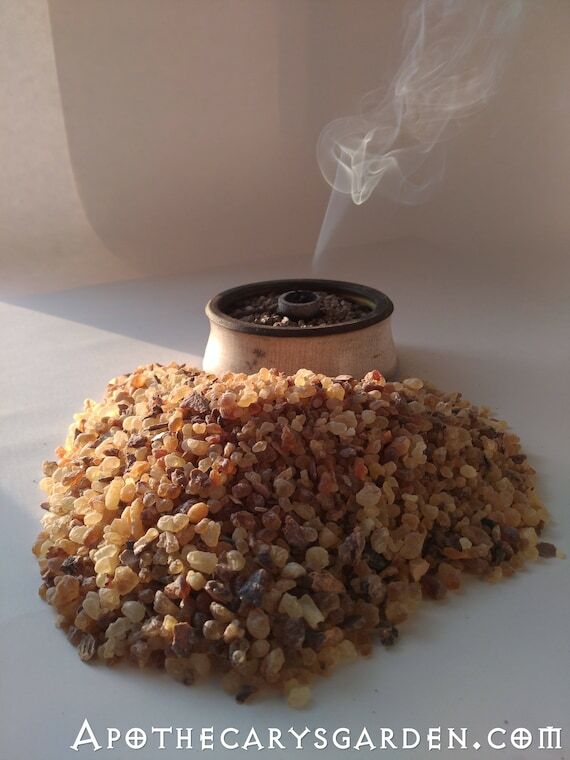 I stumbled on your website looking for information about processing frankincense. I was having a terrible time with cracking resins with low proof alcohol. Thank you for your comment and visit Caroline. Best of luck with your Fir resin products. If I can help in any way please let me know.